When looking back on the last three weeks of my internship, I can say that it has been quite a journey. And there is so much more for me to experience. 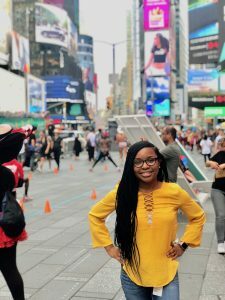 On June 19th I flew to Newark, NJ and started orientation with Ernst & Young. Our training was filled with multiple workshops, informal sessions about the different service lines, and networking events. For the first time ever, the company planned a launch national training with over 400 interns. The first day of training was about defining your personal brand and what it means to succeed. The following day was filled with simulations led by the Assurance and Risk Advisory team. The team splitted the interns into groups where we identified the risks of specific companies and we had to recommend a control to help mitigate the risk. It reminded me a lot like the exercises I completed in my Accounting Information Systems class. While the last day concluded with us mapping out roadmaps on how to have a successful internship. The main lessons that I learned during the training was to be a sponge, build a support team, mentor someone, know your net worth, strive for excellence as a leader, and have an attitude of gratitude. My first engagement was with the Audit and Assurance team. Their client was WeWork in which they conducted external audits for the company. As an auditor they are responsible for inspecting their client’s accounting records and express their opinion on whether or not their financial statements comply with the Generally Accepted Accounting Principles (GAAP). WeWork is an American company that provides workspaces for individuals and their businesses. With over 110 locations all over the globe, WeWork is leveraging their technology, smart designs, and unique spaces to attract their customers. 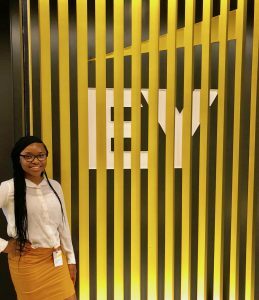 As intern I was responsible for rolling forward and linking documents in EY’s application called canvas. Most of the documents included memos, financial statements and other records from previous years. Rolling forward documents was a vital task because it helped my team members in completing quarter #2 audit. Additional tasks included attending client meetings with team members and ensuring the accuracy of numbers on documents by using www.sec.org. Starting July 16th I rotated into a new engagement. This week was very engaging because I attended multiple intern events and joined a new service line. I joined the private client service team (PCS) which is under the tax umbrella. As tax consultants they offered personal, compliance and business tax planning services to owners, families, family businesses, private equity and asset management stakeholders as well as high net worth individuals. 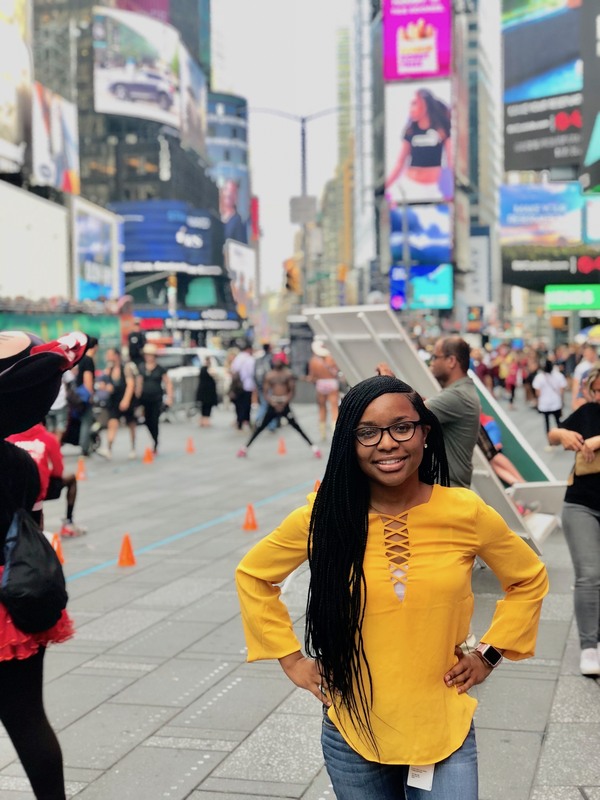 (1) As an intern, I was responsible for attending meetings with the clients, organizing tax documents and creating invoices to send to the clients. This engagement reminded me a lot of when I worked as a site coordinator for the volunteer income tax association in the spring of 2018. I was responsible for reviewing tax documents, preparing taxes for clients and assisting preparers as they needed it. The only difference between my volunteering experience and the engagement was that clients were in a higher tax bracket. But overall the goal was to provide the best service to all clients. One of the intern events that I attended was called “Leveraging your Authenticity”. Along with 30 other interns, we had the opportunity to chat with a senior staff name Dane Williams who worked in Tax Processing Association (TPA). He discussed his career goals and what he wished someone would have told him as an intern. We covered several of topics about the importance of building a brand, the power of exposure, and being the person you needed when you were growing up. What I took from the discussion was that my level of authenticity has allowed me to build my brand and describes me as determine, a quick thinker, responsible, humbled and a passionate individual. Since the beginning of my internship the work and schedule was given to me at a steady pace. However this week was my busiest one. This engagement was with the Foreign and Integrity Services (FIS) team. They fell under the audit and assurance umbrella. They created our week to be centered on doing less work but to gain exposure to the terminology and systems that they used. What was interesting about this service line was that their goal was to help clients find and fight fraud by investigating unusual financial activity, perform electronic evidence discovery and reviewing financial reports. (2) Within the first three days I had FIS training. In training, we learned about the responsibilities and their current projects. We discussed that their common issues with clients were centered on fighting anti-money laundering and Ponzi schemes. On Wednesday July 25th, we got the opportunity to take a tour of the foreign lab, shadow the data analytics group and investigative team. We learned that whenever a company suspects fraud within their company, they hire external companies to conduct an investigation. The foreign lab team discussed their process when going to a client site to take an image of the data. It includes identifying the data, preserving, processing, collecting, analyzing, reviewing producing and presenting the information to the client. Then we sat down to talk to the insurance/federal claims team. One of their current projects is centered around the Puerto. Months ago when the hurricane had hit Puerto, EY was hired by the government assist businesses claiming their insurance policies from FEMA to rebuild their businesses. Towards the end of the week, we spoke to the data analytics and investigative team. 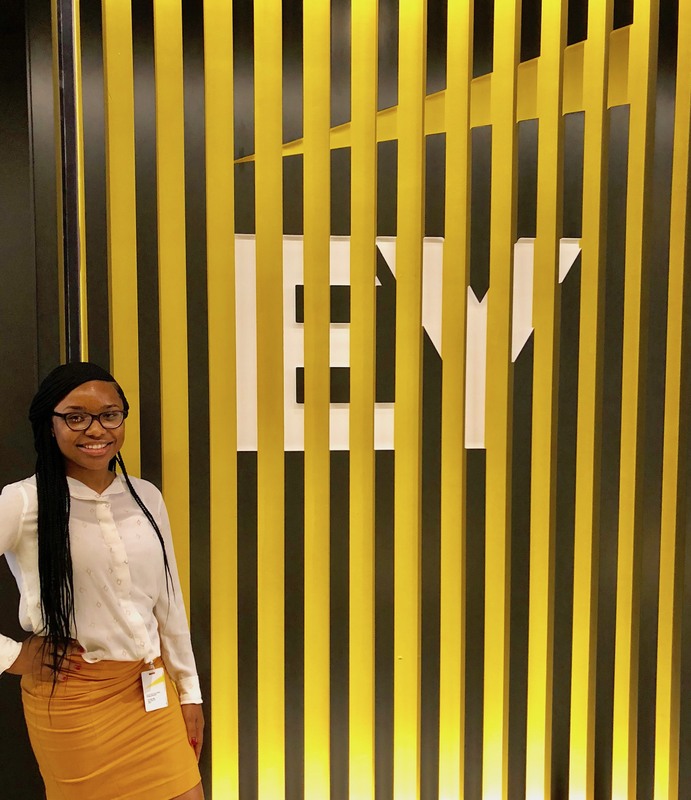 The bank would allow EY’s data analytics team to cypher through the data and clean it before giving it to the investigative team to find the parallel between both data sets. Banks that have US dollar transactions are required to stay in compliance with US federal regulations. On Thursday, July 26th we got the opportunity to attend an information session on how important it is to management money at an early age and discuss the difference between rich versus wealthy. What I took away from the session was that learning to manage your money early can help you obtain balance within the start of your career. The last two weeks of my internship I rotated into my fourth engagement where I joined the advisory team. Their client Celgene is as American Biotechnology Company that discovers, develops and commercializes medicines for cancer and inflammatory disorders. (3) Within the advisory service line there three subgroups such as the performance improvement team, risk IT and assurance. However, I worked along as an internal auditor with Celgene’s C-suite executives because they needed assistance in completing work due to their high turnover rates of employees. In addition, they hired Ernst & Young (EY) advisory team as internal auditors to help them identify the different risk in their company and the different controls that needed to be put into place. As an intern, I responsible for creative clinical control testings’ and attending client meetings. As this week conclude I will be conducting controls comparison and additional control testing.